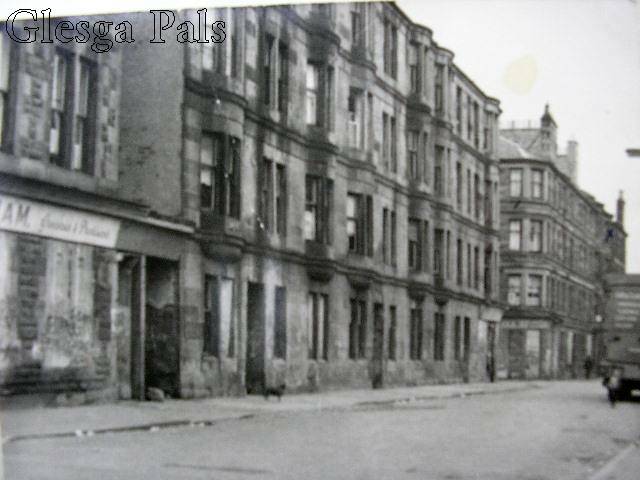 cc1960s Webster Street taken from junction of Swanston St. looking towards Carstairs St.
Pictures of Webster St Bridgeton.......... Webster St had Carstairs St at its east-end with Swanston St at the west-end. 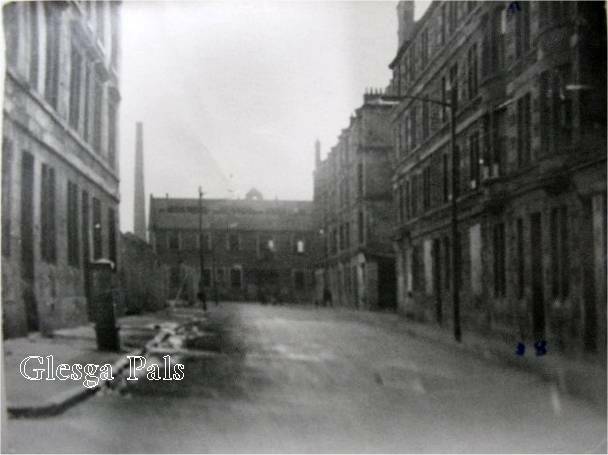 In between was Bonnar St which ran north up to French St. The tenements are no longer there only grass bounded by the original streets. I recently paced out the area which was my tenement i.e. Webster /Carstair/French/Bonnar Streets I calculated an area equivalent to 5 or 6 Sydney house blocks, my conservative calculation of the number of people in the tenements in my time ( 1943 - 1954 ) was around 1500 only allowing 5 to a family! 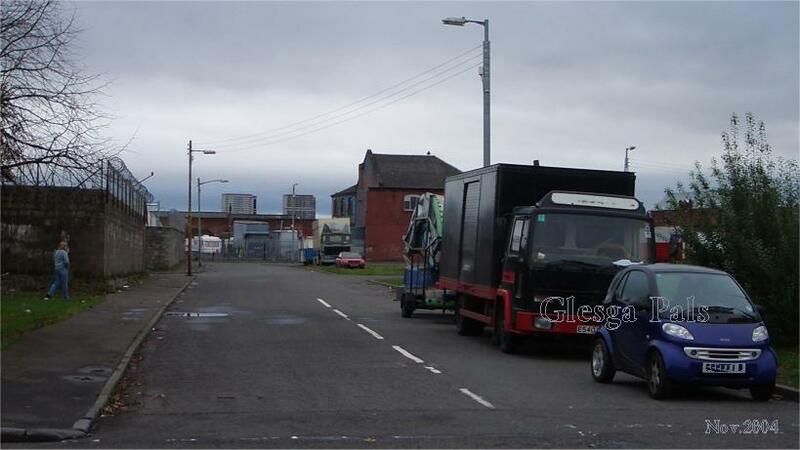 The van parked in Webster St. is from a large company called John Laird who made mainly cardboard boxes. I wonder how many of my Glesga Pals worked there or had a Ma or Da that did. 1 ) You can see electric street lighting , he left in 1955 and it was just being installed. 2 ) Most of the downstairs houses are boarded up , he is sure they were occupied during his time. Haven't been on the site in a while. Born 7 Webster Street. I can see oor close and ma Granny's close. Looks dismal in the pic. Must be after the 60's we left in 1969 and it wasn't boarded up like it is in the pic. Came to the US at age 6. Grew up in Kearny, NJ. Thanks to Ken for posting the pic of Webster St. as we never had a good photo of it, just had my own in my memory which looked very different (much nicer) lol, in my mind. Hard to believe the new photo is the same place.